4.3.19 | by Adam Balhetchet | ASTORIA, Queens – Multiple people were injured in a 4 vehicle MVA. It happened around 6:30 am Wednesday, on Hoyt Ave & 31st St. Initially the bus was reportedly on fire. A significant amount of liquids were leaking as well, possibly fuel. 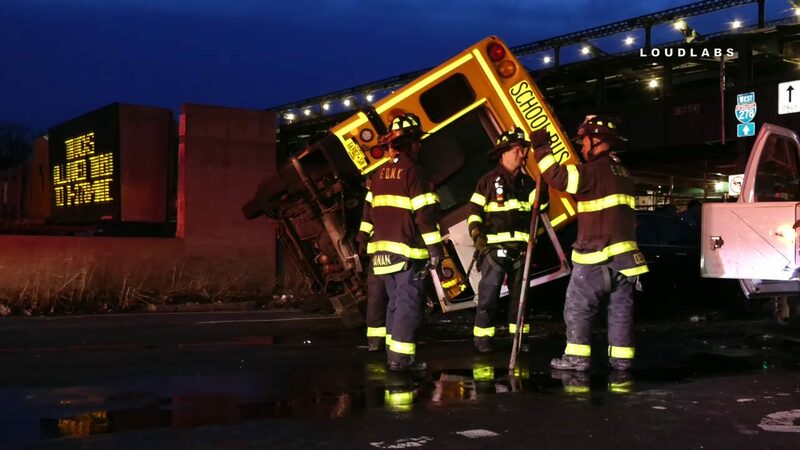 A male elderly driver was arrested, possibly the bus or construction driver. One of the uber riders alleged that the sanitation truck was trying to cut off the bus which caused the bus to swerve and hit the two other vehicles.